Consultancy services are provided to an organization who seek consultancy solutions for specific problems within the business. The consultant is regarded to be an expert in that area and hence the consultancy services agreement is signed between the customer and the consulting organization. The consultant contract consists of the scope of work and the deliverables. It consists of all other terms and conditions for executing the assignment. The assignment starts after signing the agreement. 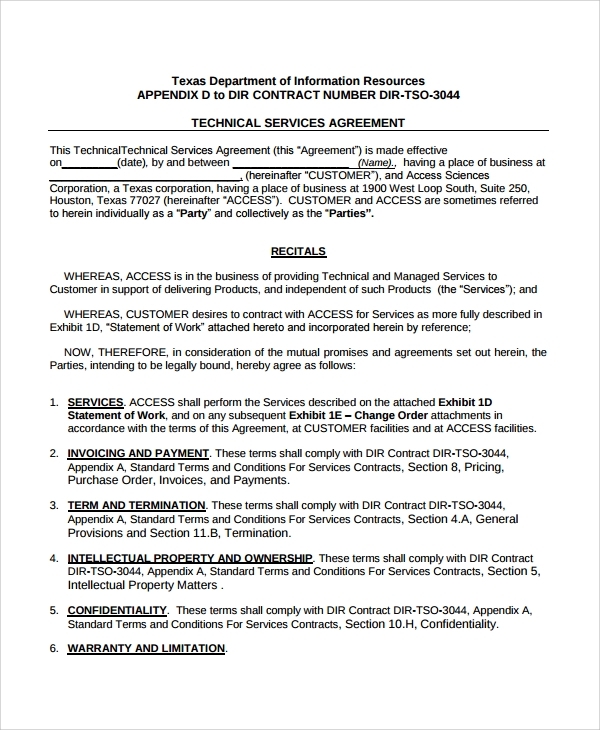 You can also see Business Service Agreements. 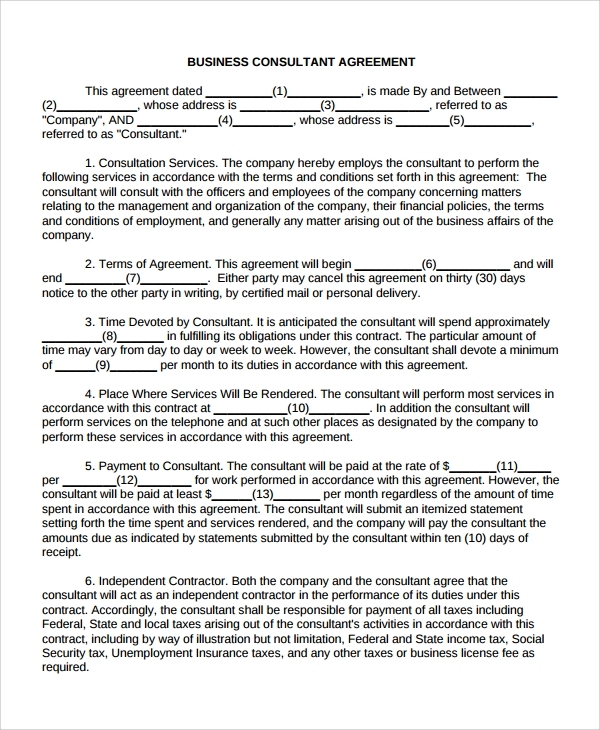 A sample consulting services agreement is written by the organization who needs to sign up with the consultants or consulting organizations. The sample contract or agreement will have the standard clauses needed for signing the agreement. It will have placeholders for the value of the contract and the scope of work. 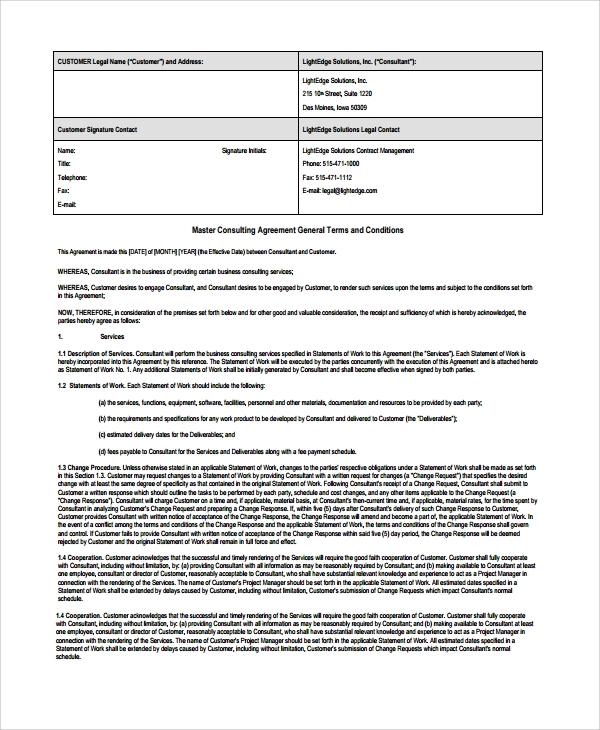 An organization can use the sample agreement multiple times for different consulting contracts. 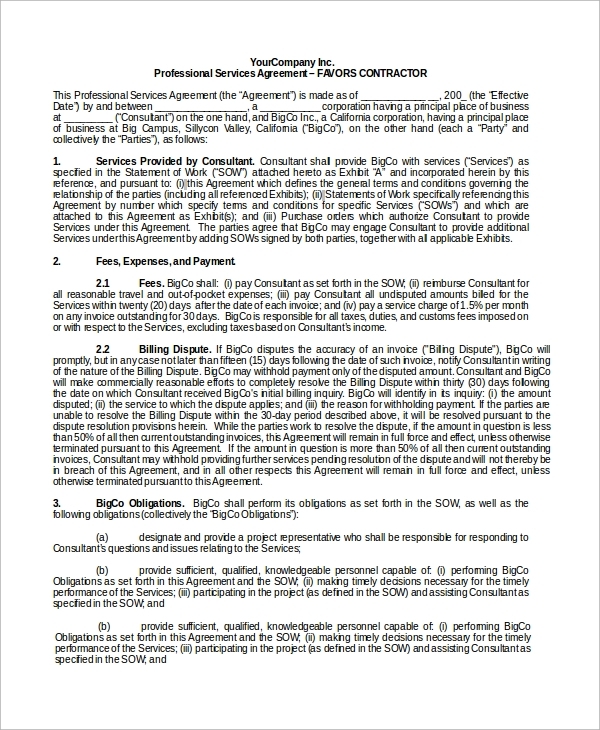 The master consulting service agreement is signed between a principal contractor and a subcontractor. The main contractor takes services from other contractors. It contains all the terms and conditions inclusive of the scope of work, the timelines, place of work and any penalties. The agreement will have standard non-disclosure agreements signed. It will have termination clause if required. The business consulting services agreement is signed between the business organization and the consulting organization or contractor. 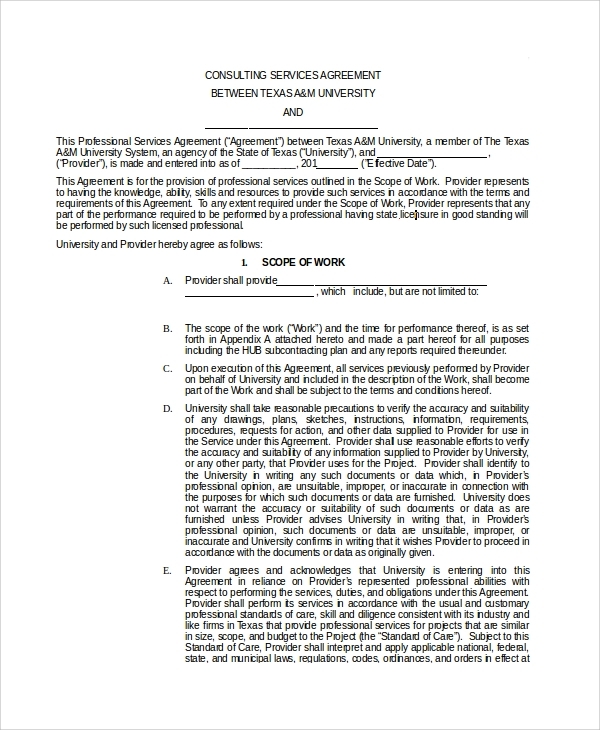 All the terms and conditions related to the assignment is documented and signed by both the parties. The work can only begin after the agreement has been signed. Real Estate consulting organizations give consulting services for leasing and buying the properties and drawing up the lease agreements in favor of the business organizations. The real estate consulting agreement is between an organization who would like to have a consultation with real estate and the real estate consultant. The agreement clearly defines what is the scope and what are the deliverables and penalty if not delivered. 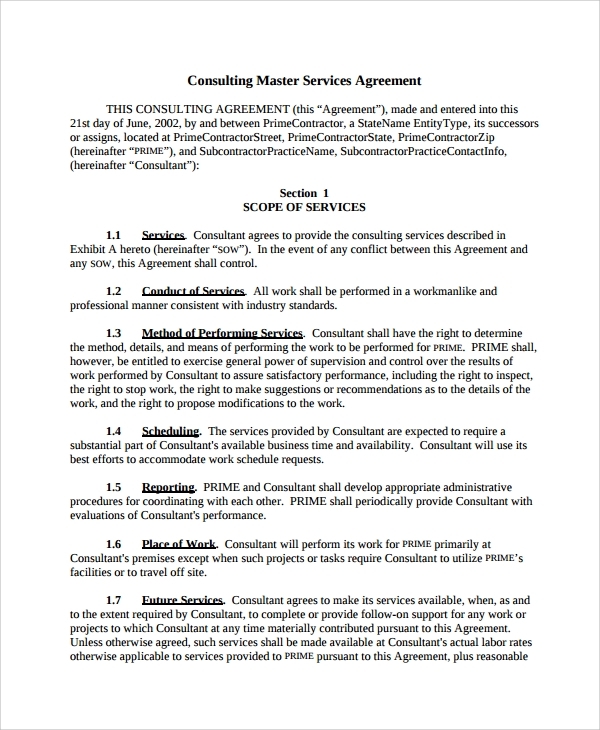 Sample consultant service contracts are used as a framework to help organizations make an agreement. Certain organizations have a need for multiple consultancy services from multiple vendors. In such case, it is a good to create a sample agreement which has all the terms clearly mentioned. This can be used to create standard agreements. This creates a standard and there is no need to write the whole agreement every time it is written. It covers all items from the scope of work to the completion of the project and the rules which the contractor needs to follow. 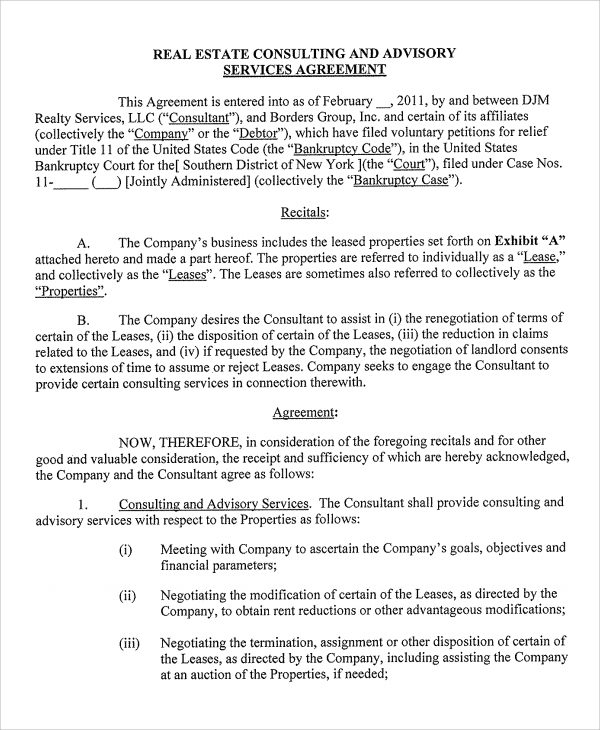 You can also see Business Agency Agreements. 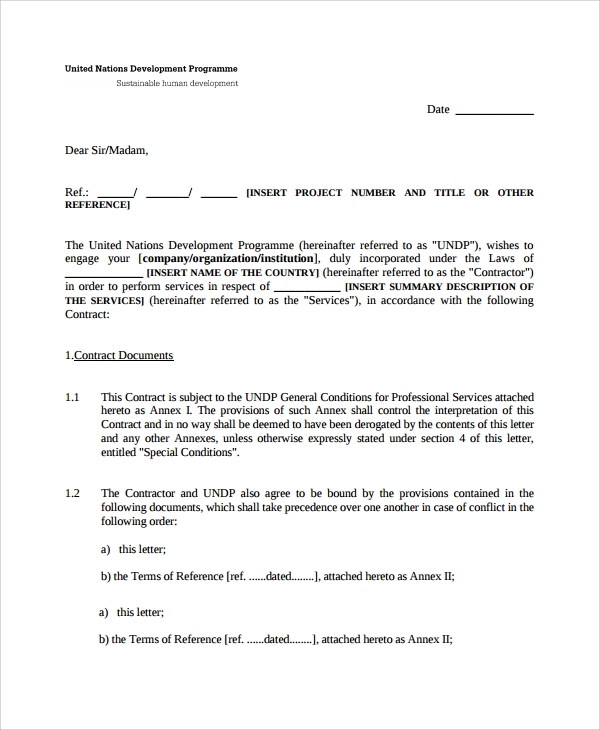 Sample consulting services agreement are available on the net. We can download the same and then modify them to create our own agreement. The legal department can help in drafting this agreement. It should contain the date when the agreement is being signed, the names of the parties. It should then contain the scope of work, when will the work begin and estimated end date, how much time will the consultant work, place of work and payment details, non-disclosure clause and any other terms. It should contain a place for the signature of both parties. This makes a consulting services agreement complete by itself. You can also see Business Investment Agreements. 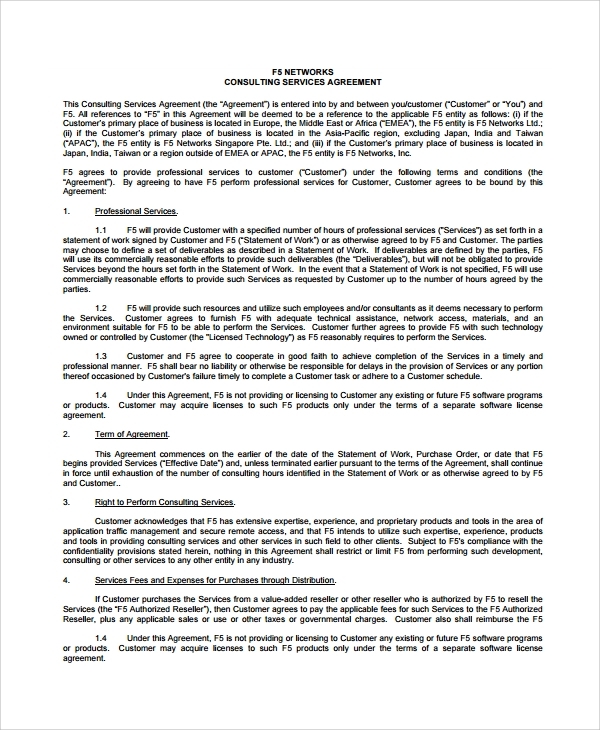 We have consulting services agreement available for download. It is available in pdf and word format. 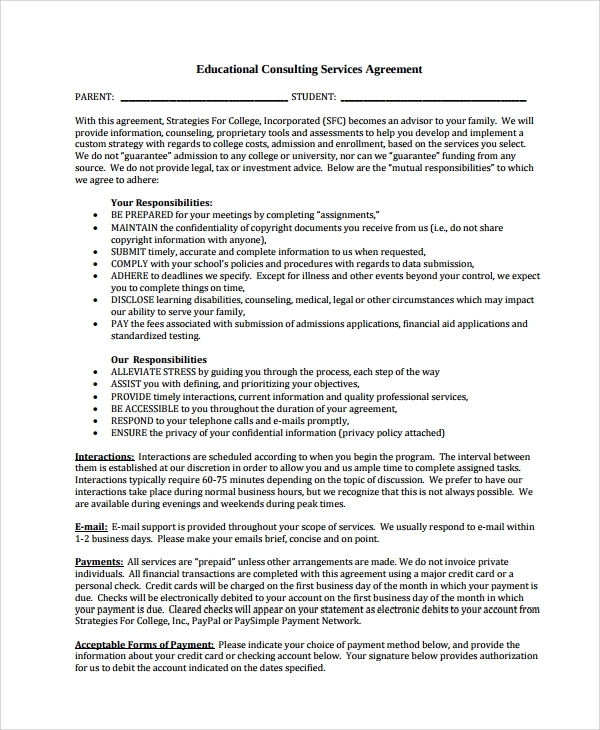 Please use this agreement for your contract. The agreement can easily be modified to suit your requirements. Call us for any modification and we will do it for you.